Great card, Sylvie! Amazing how you can have so many layers without the card appearing cluttered!Have a great weekend, Dear! 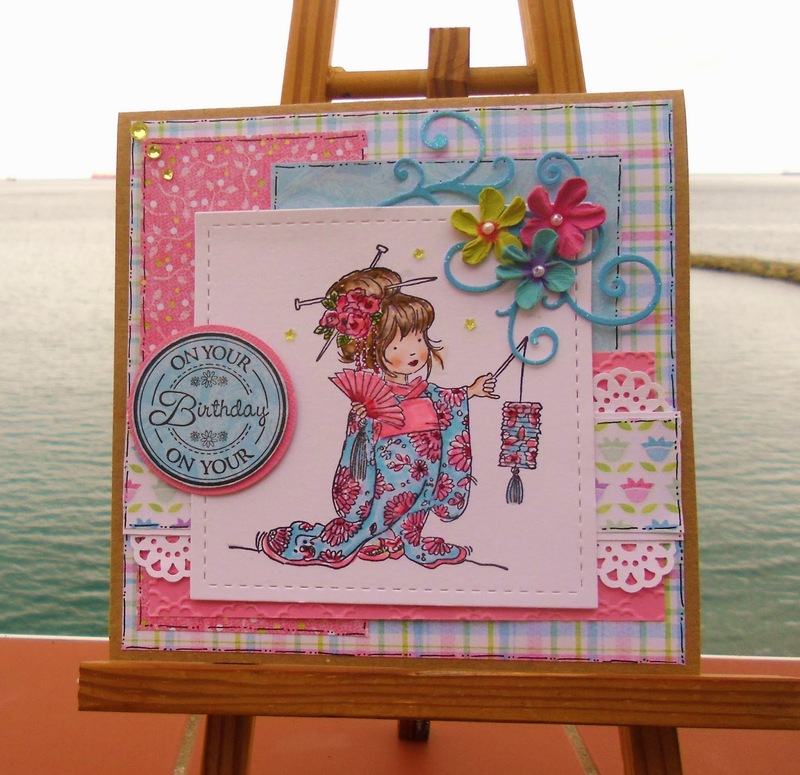 A gorgeous card Sylvie. The image is adorable and I love the pretty papers and colour scheme. Gorgeous card Sylvie, I love the sweet image, beautiful colouring and pretty papers too. Hi Sylvie, This is so gorgeous, I hope you are well. Gorgeous style card, love the faux stitching and all the layers. Absolutely gorgeous. Such a beautiful colour scheme and your colouring of this lovely image is fantastic. Lovely card Sylvie. These LOTV paper and stamps are gorgeous. Great layering and love the faux stitching. Fabulous card and the previous few I haven't commented on. This is indeed a lovely stamp. You have made a gorgeous design to showcase her. Beautiful card. so gorgeous Sylvie.your colours are beautiful and I love the stunning image.